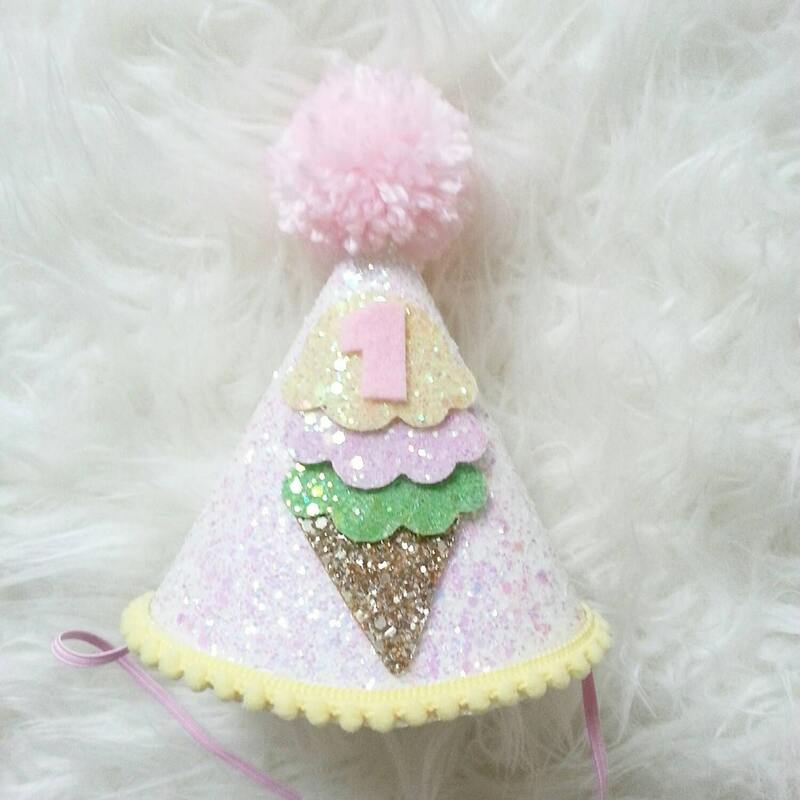 Shown is our standard hat with Pastel Ab glitter fabric, pale yellow trim, bany pink yarn pom and baby pink felt number with the cutest glittery ice cream cone in pastel apple green, pastel lemon, and candyfloss pink, and a pale gold cone.. This was perfect! Thank you!! Perfect for my daughters ice cream themed first birthday!!! Love this party hat!!! Well made and arrived very quickly! We will get one every year!